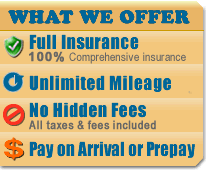 Rent a Car in Crete Greece, car hire in Crete Greece by Universal Rent-a-Car. Find the lowest prices on car rentals in Greece, online reservations for budget economy travel to Greece and the Greek islands, Crete, Santorini, Corfu, Mykonos, Athens, Thessaloniki, Rhodes, Kos, Samos, Halkidiki, and Zakynthos, mietwagen in Kreta Griechenland, autovermietung, location de voitures. Modern evolution has not affected the virgin beauty of Crete and has not cut Crete off from its virgin attractiveness.The proud inhabitants of Crete continue to live in wild, glorious highlands or along the beaches, in little white-painted houses which combine a village, like plantations full of oranges and olives.With a climate that is described as "the mostsun-bathed and sinful climate of Europe", along with 6 months of cloudless summers awaiting its visitors.The full of gaps highlands are being penetrated by well expanding beaches. Here people can breathe the plentifularomatic herbs, meet kitchengardens and grapes, find ancient monuments and solitary chapels,and near them spreads of goats and mules browse together and (people can) meet trueborn Cretans,who may have not seen the sea even once in their lifetime.There isn't any areas in the island which doesn't reveal traces of a human civilization of hundreds of years and for this you can flashback the 4000 year history. So grab the opportunity as long as you stay in the island of Crete and rent a car to modulate your picnic having a rented car individually. It would be a pity if your time passes at the beach only, provided Crete with it's 260 km length is the largest greek island. Unexpectedly people meet mostly the primal Crete, ganders at the cretan habits and traditions, the natural warmth and hospitality and the villages which are alongside of the highways.You can stop driving your rented car at untouched landscapes or you can visit a tavern to rest. Little and forgotten villages,for example "Theriso" which is 15 km south of Chania, wait you to visit them,7 km awaythere is a narrow turnpike when you pass by a stream which is in a narrow canyon both sides of which many wild rocks rise.Very near of the village lies the valley and the foothills of the white hump of Chania easily appear. A beautiful snow-white area that appears as another world. These are some of the capabilities that anyone can meet in Crete but like you it cannot provide an organized picnic. We are sure that you will be satisfied and we wish you lovely, restful and entertaining holidays. The city of Heraklion is the capital of Crete and the fifth largest city in Greece. It has a national airport and sea port. Knossos and Phaestos, two of the largest archeological sites in Greece, can be found here. In Heraklion one can visit the Iraklion Archeological museum which houses extraordinary specimens from Knossos, Phaestos, Gortys, and Malia. Universal Rent a Car has hundreds of hotels available in Heraklio including Heraklion City, Amoudara, Gouves, Hersonissos, Kokkini, Aghia Pelagia/Lygaria, and Gournes. Aghios Nikolaos, built on the ruins of the ancient city Lato pros Kamara, has developed from a small trade center in the 3rd AD century into a major modern cosmopolitan center. Aghios Nikolaos is known for its "bottomless" lake located in the town center. From Aghios Nikolaos you can take boat trips or cruises to many islands or simply sunbathe on its beautiful beaches. Those who love the night life will find Aghios Nikolaos a paradise. Elounda has evolved from a small fishing village to one the largest tourist attractions in all of Crete. It is known for its luxurious hotels and it is a favorite resort for many rich and famous figures. Here you will also find many villas and apartments as well as 2,3, and 4-star hotels. Frequent boat trips to the island of Spinalonga. Numerous tavernas and international restaurants.